It is seen that a large number of bloggers and webmasters are running behind the promotion of Blog or website,it is really not that difficult as bloggers and webmasters think.Because my last five years experience says that it just takes a little bit of effort,a little bit of thought,and a fair amount of patience to get success in any business or blogging.It is known to all that blog or website promotion is a long term courses with low-intensity effort of working as it can take weeks or months to get into the search engines,and years to develop a site that gets top rankings. So never think about overnight success as it doesn't have to do all of this overnight. Rushing behind the success in site promotion is a great mistake for bloggers and webmasters,on the other hand it will come at door step,just follow a few rules and how they apply to website or blog,and then proceed.Here is the Simplest and easiest way to successful promotion of website and blog. It is the way of successful promotion of website and blog,that it must be special to any contemporary other’s.If you're selling something,make sure you're selling the right thing. The internet is a great tool for selling things,but there's a big gotcha. If you're trying to sell something that lots of other people are also trying to sell,you're facing competition two ways,first,it's going to be a lot harder to get noticed on the search engines,and second,the competition is going to eat away at the profits.The real secret to making money on the net is to sell something that nobody else is selling. Even if the market is tiny and obscure,if you're the only maker,the net will bring you and your customers together.Further more,if you're trying to make money with an affiliate program,in particular those that automatically generate a "virtual" website for you,it should know that in almost all cases,they are a waste of time and money. I get emails all the time from people who have wasted hundreds,even thousands of dollars on the schemes.Please do not be one of them. Google considers most of these pages to be spam,but I think in a lot of cases,that's a spelling error,the correct spelling is scam. I assume you're already happy with how your site looks,but you may want to read my article on how to (not) win awards,which contains a list of website mistakes you should try to avoid.It is no matter how a website is working properly,it doesn't matter how many people you attract to your website if,once they get there,they immediately get turned off by an unattractive presentation or a half-built website.At the same time,you don't have to get too fancy,simple, straightforward sites work fine,you don't need to pay a web-designer to develop a site that's incredibly fancy(and whose main value is that it's a monument to his skills). Choose keywords and tweak your site for the search engines. Once your site looks good to humans,the next step is to try to make it look good to the search engines,so you get the coveted high ranking.This involves choosing the right keywords and adjusting your page title,meta tags and first paragraph to showcase them. This is where most webmasters screw up.They choose the wrong keywords because they don't spend enough time thinking about how people are going to try to find them.My article on search engine optimization takes you step-by-step through this process. Submit to the major search engines.Now that your site is all ready,you next submit to all the major search engines.One of the key components of Self Promotion is an extremely powerful and comprehensive automated submission tool that can properly promote your site to all the major search engines and indexes.The good news is that it'll only take you about 30 minutes to create an account and promote to the search engines. The bad news is that it can take anything from hours to months for the major search engines to list your site,and Google in particular is giving new sites reduced ranking for the first few months.Fortunately,while you are waiting for the search engines to get their act together and list you,there are other things to do. Submit to the major indexes.While Self Promotion can automatically submit your site to a lot of places,it does not autosubmit to the major indexes such as Yahoo and Open Directory.The reason is that listings in these indexes are sufficiently valuable that a hand-done,optimized submission is worth taking the time to craft. Next to Google, Yahoo is the most important place to have your site listed on the Internet,yet most Yahoo listings are awful.Once you understand how to craft a proper submission to Yahoo, you'll not only greatly increase your chances of getting in,but you'll get many more hits than you would otherwise. If you are already in Yahoo,don't despair,my initial listing in Yahoo was awful,but I managed to double the number of click through rates,I get from them by successfully requesting a change to my listing.Curiously,even if you decide you shouldn't submit to Yahoo,thinking about what you'd do if you did submit is time well spent,because it will help you refine and boil down a good description of your site. You'll end up using that description over and over,in other submissions,in your meta tags, and in your page copy. Submit to the general indexes.There are many "2nd-tier" indexes that are worth submitting to,though not worth crafting a specially optimized listing for (although the advice in the previous step is still valid).I've broken these down into a variety of categories, including general indexes,british and canadian-specific indexes and search engines, international indexes,indexes that accept adult sites,and special-purpose indexes. so that you can submit to them in small chunks as time permits.Since the spring of 2000, about 40,2nd-tier indexes and searchengines (and several of the big guys) that I used to auto-submit to have curled up and died.But there's still plenty to submit to. Consider paying for hits.The good news about listing in the search engines and indexes is that it's free.The bad news is that you don't have much control.While it is certainly worthwhile to tweak your pages in search of high rankings,it's not always possible to get the ones you want. There are,however,several places that can provide you with well-targeted traffic for pennies a visitor. My favorites are Yahoo Search Marketing and Google Adwords,and I have a page dedicated to using pay-per-click cost-effectively. Learn more about sales and promotion. In the almost three years I've been running this site,I've written a number of articles that you may find of interest.You'll find the links on the right-hand side of the page under Tutorials and Articles.I've also found some good Web Marketing Courses that will help you plan how to handle the traffic you get.After all,if you're selling on the web, it's not how many hits you get,it's how many sales you make.If your wonderful widget website doesn't do a good job of selling widgets,then all the search engine traffic in the world isn't going to do you much good -- and it's much easier to double your site's effectiveness than it is to double its traffic(even better,of course,is to do both! ).Next,since knowing who is visiting your site and how they got there is very useful,you should consider tracking your visitors. If you have access to your webserver logs,consider using the free Analog web-analysis software(available for Windows, Mac,Linux,and more).If not,consider a web-based service like Web-Stat. Finally,I have a well-stocked Links of Interest page that contains listings of other great promotion and webmaster resource sites. Do your research before hiring anyone to do promotion for you.While a site is aimed at do it yourselfers,some people may be more comfortable hiring a consultant to do site tweaking and search engine registration. Even so,it's important to understand the basics before doing so,there are a lot of snake-oil salesmen out there, and a little knowledge is an effective.For example,if someone promises to put you on page 1 of the search engines, run away as fast as you can! Getting on page 1 for relevant keywords takes hard work and patience,and is not something that any reputable consultant will ever promise(a common scam is promising you page 1 results and delivering them -- for irrelevant or hyper-specific phrases that will never generate any meaningful traffic).It's important to understand what you're buying, so take your time,read around the site,and get an education before you hire. Go get some links! 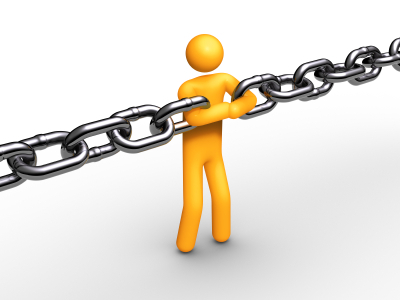 An important component of your search engine ranking is determined by what sites link to you,when an important site gives you a link,it's like a vote of confidence in your site.In the early days, Google rankings were almost entirely based on your “link popularity”,and a link from Yahoo was the most coveted commodity in website promotion. Even today,the major value of that $300 a year listing in Yahoo is the credibility it buys you on Google.Some people devote their lives to getting links. a)If you come across a website that you think would be useful to your visitors,add a link to them.I have a links of interest page where I do this. You are making the web more useful to your visitors,and the good karma can't hurt. b)If you really,honestly think that the site you just linked to would similarly be improved if it had a link to your site,then email the site owner and suggest it.Tell him that you have linked to his site,and that regardless of what he decides,you will continue to do so,because you think his site is useful.The cute thing here is that by explicitly saying this,he'll give your request extra consideration.Isn't it great how being virtuous can be so evil? c)If you happen to find a site that would be improved by a link to your site,even though a reciprocal link would not be appropriate, email and suggest it. d) Make all your emails personal,and make sure they demonstrate that you've clearly spent time on their site. e)The key to successful link building is always,above all,put other people's interests (your users,and the other site owners) above your own.That helps ensure you get good links (and bad links are worse than no links!). I don’t know that how much have been captured by you but one thing is sure,if you are in need of site promotion then it will surely help you to build a high quality website or blog promotion. Assuming,I haven't completely turned your brain to mush with my verbiage, read on.If any thing,you like against the conventional knowledge then,must comment bellow. It is a three years old article, and you haven't got even a single comment for this. It means, there is something wrong in your blog..